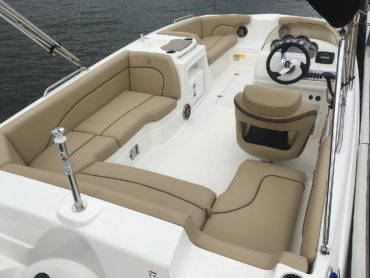 U-shaped cockpit seating featuring "leather-touch" upholstery, standard acrylic table, and walk-thru transom with flip-up cushion seat. 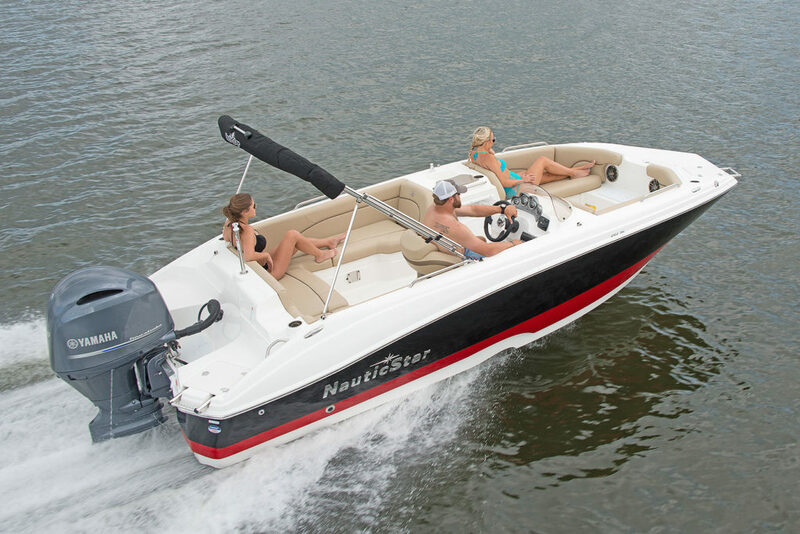 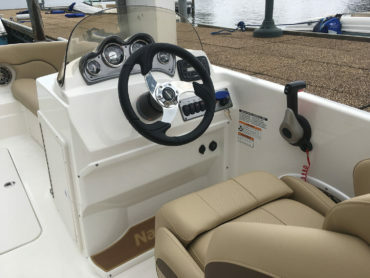 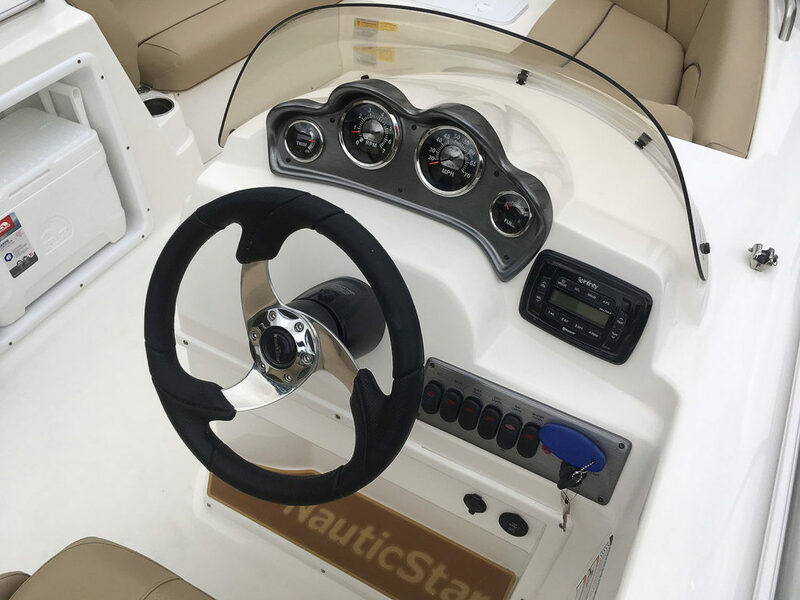 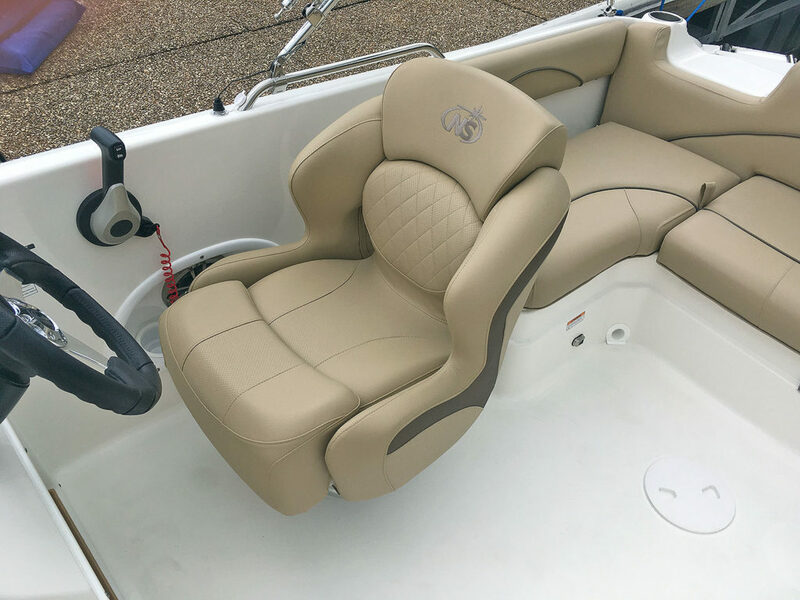 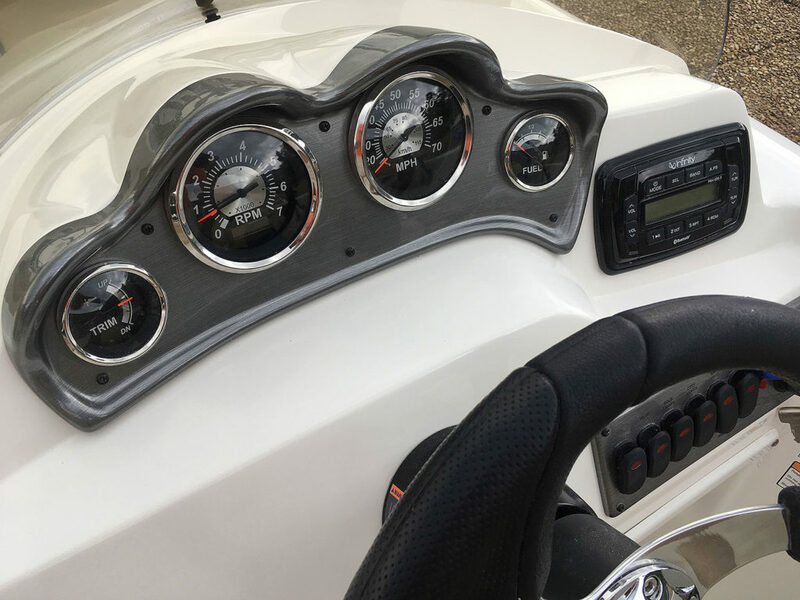 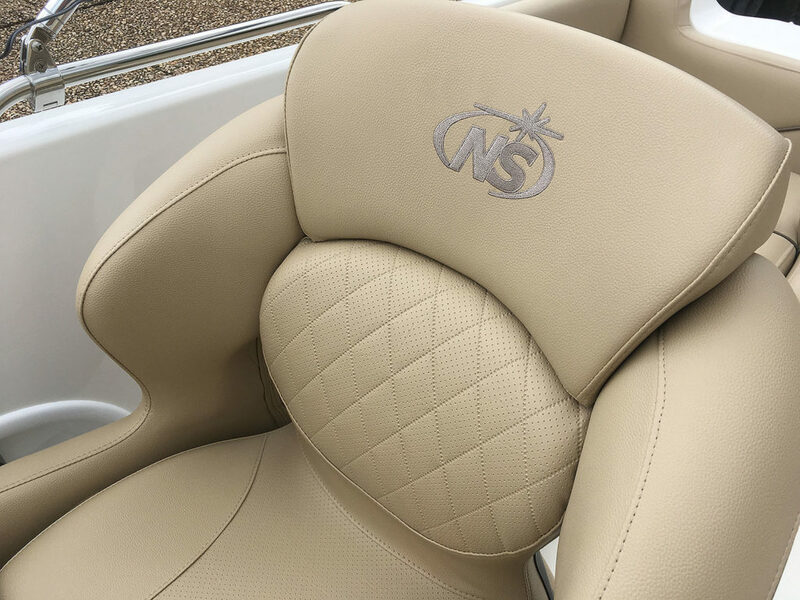 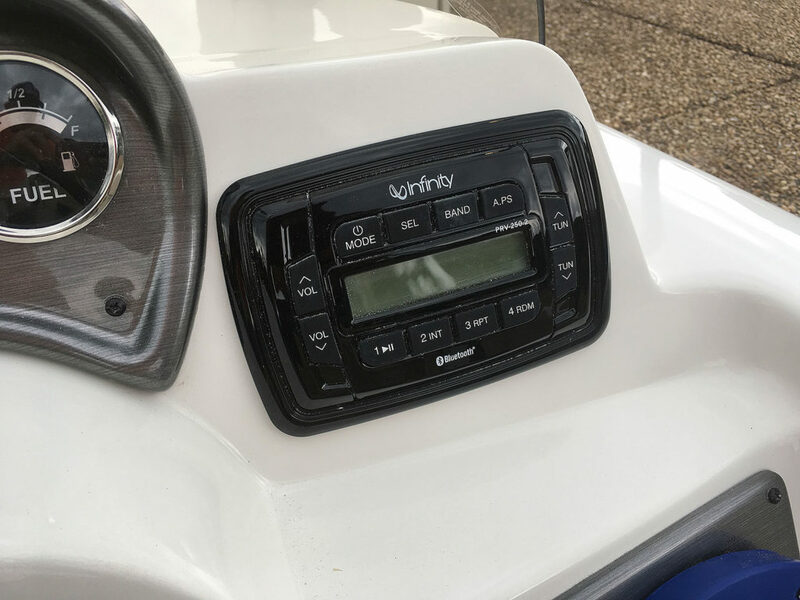 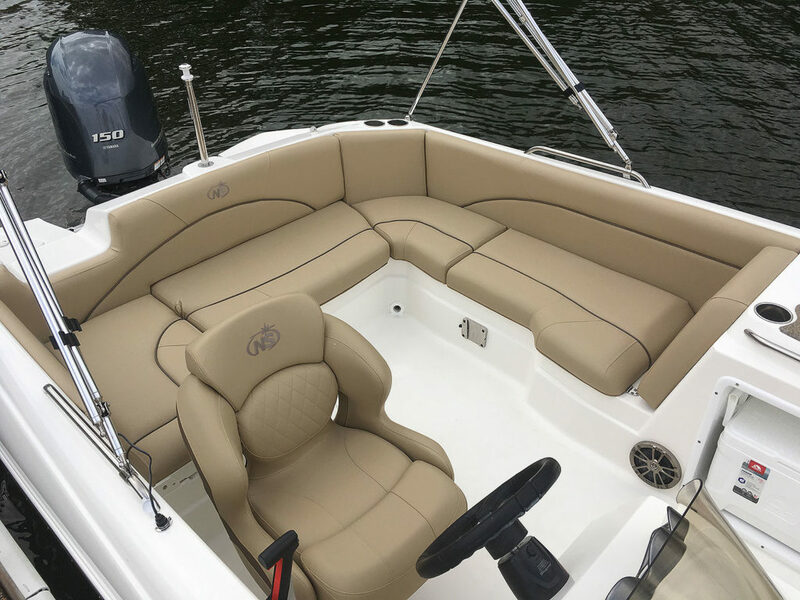 Captain's station with full instruments, Infinity® stereo system with Bluetooth, captain's chair with flip-up bolster, and SeaDek® padded foot well. 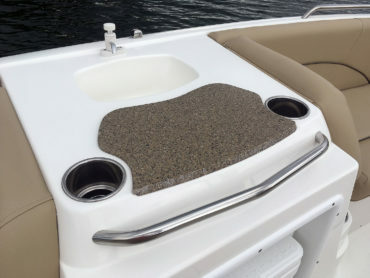 The galley has a sink (9 gallon), solid surface acrylic countertop and 2 drink holders. 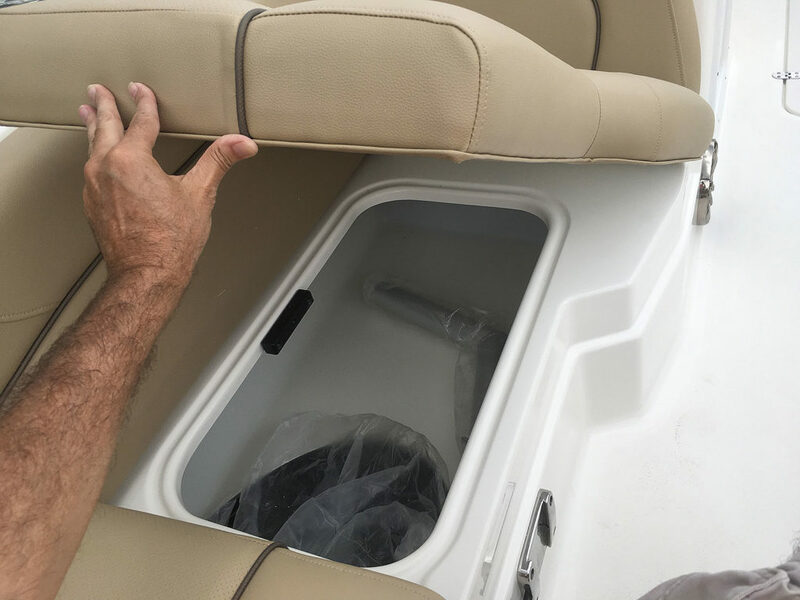 There is an easy access 25 qt. 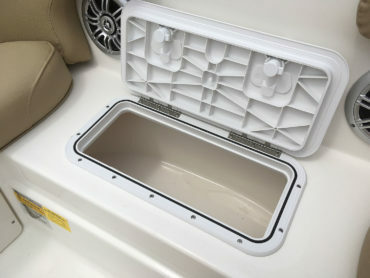 cooler recessed in the area below the sink. 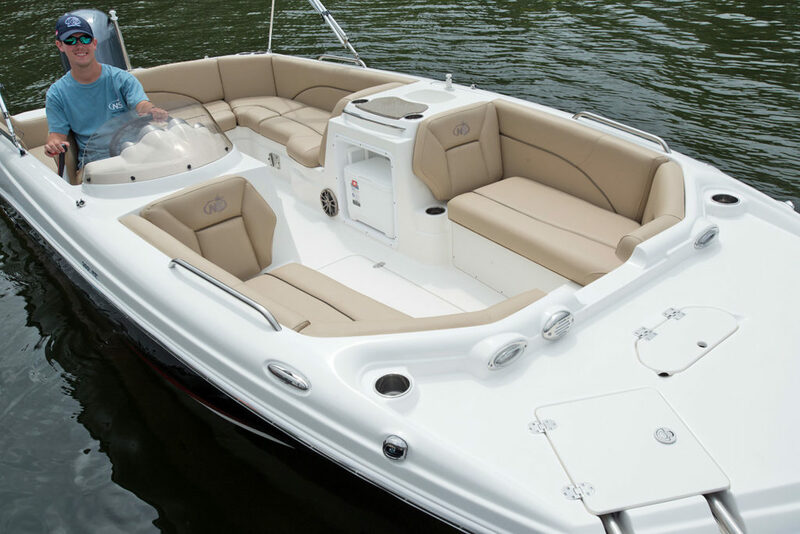 The 15.5 Cu.Ft. 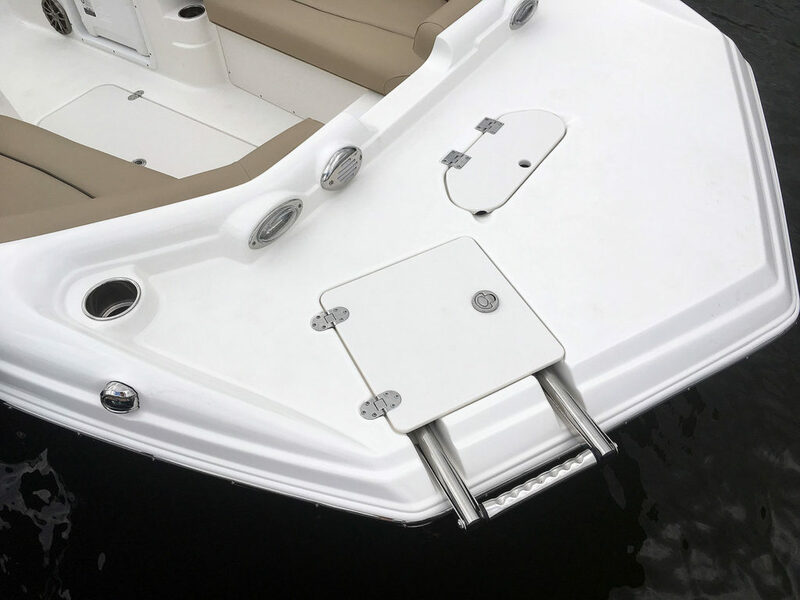 floor storage / ski locker features a gas shock & slam latch. 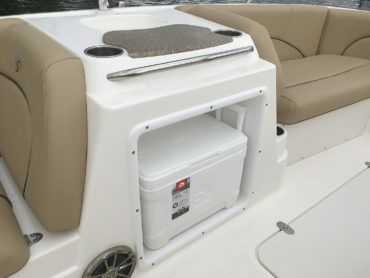 There is a 22 gallon cooler in the bow that can also be converted to an optional livewell. 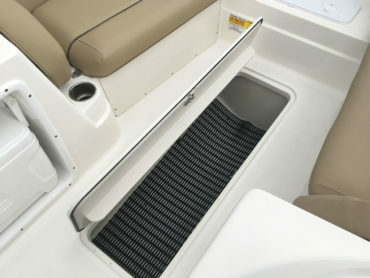 The boarding ladder leads to a step and walk-thru transom to enter the cockpit. 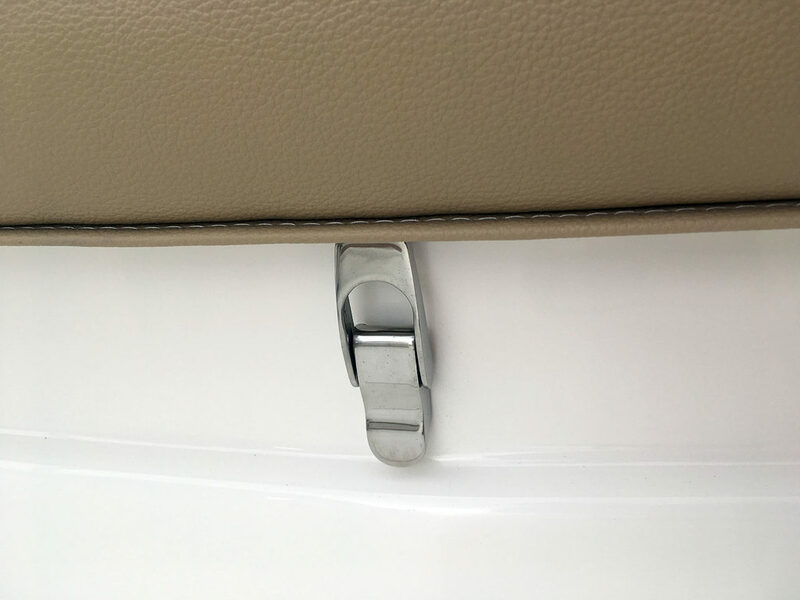 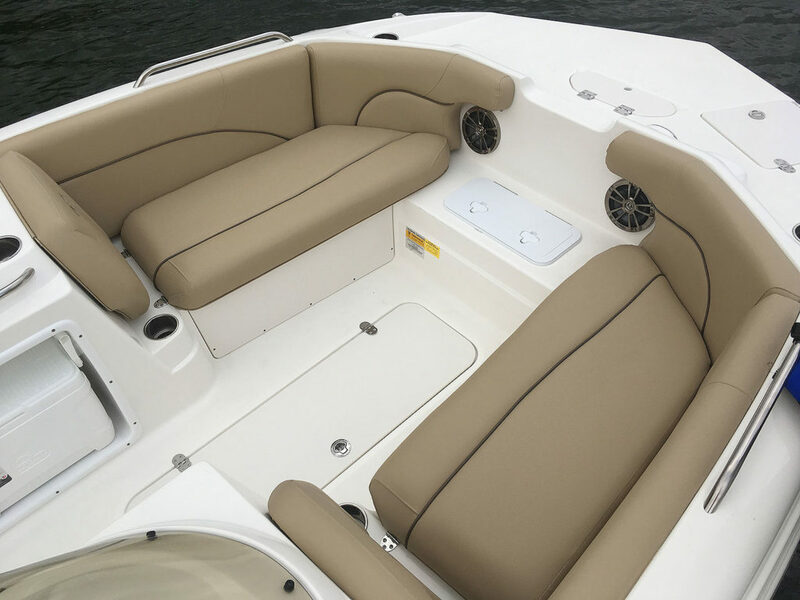 The cushions flip-up and also reveal the large storage compartment below. 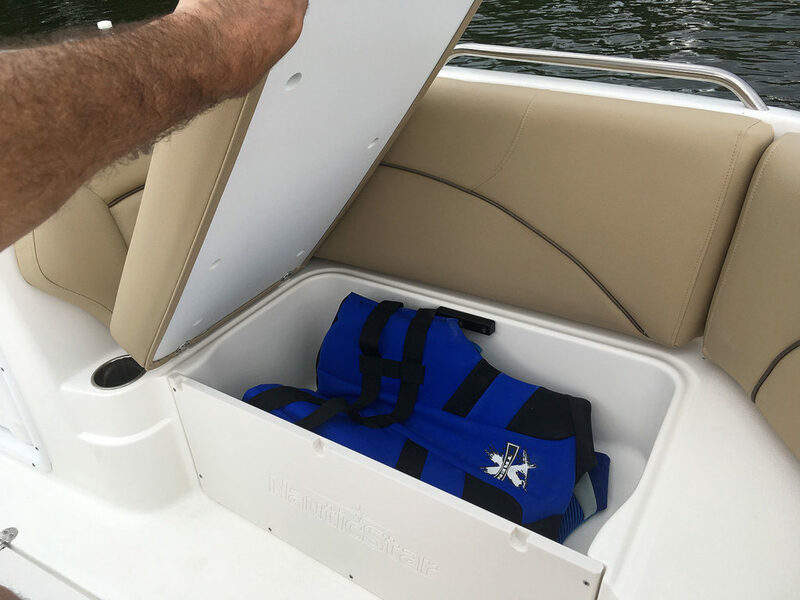 Easy access 25 Qt. cooler located in the galley area. 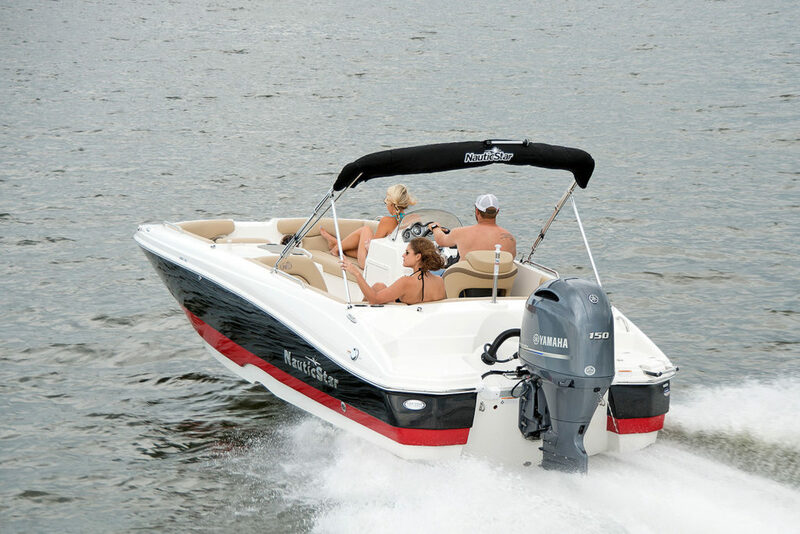 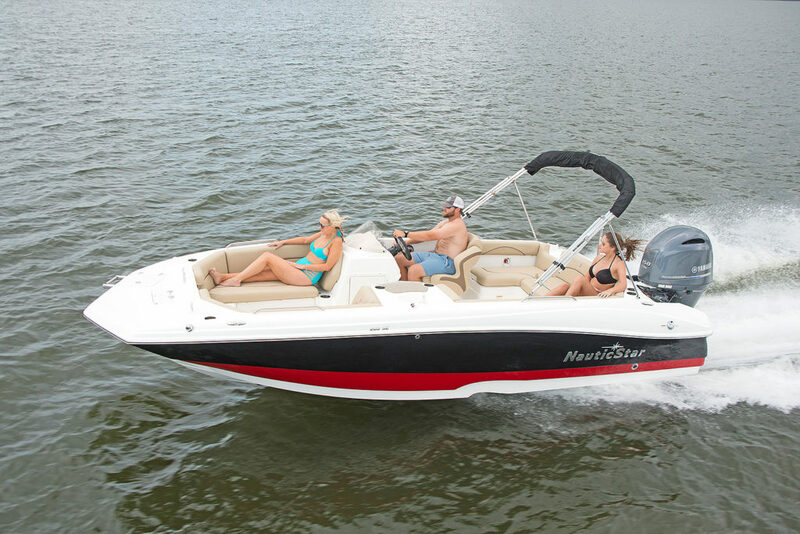 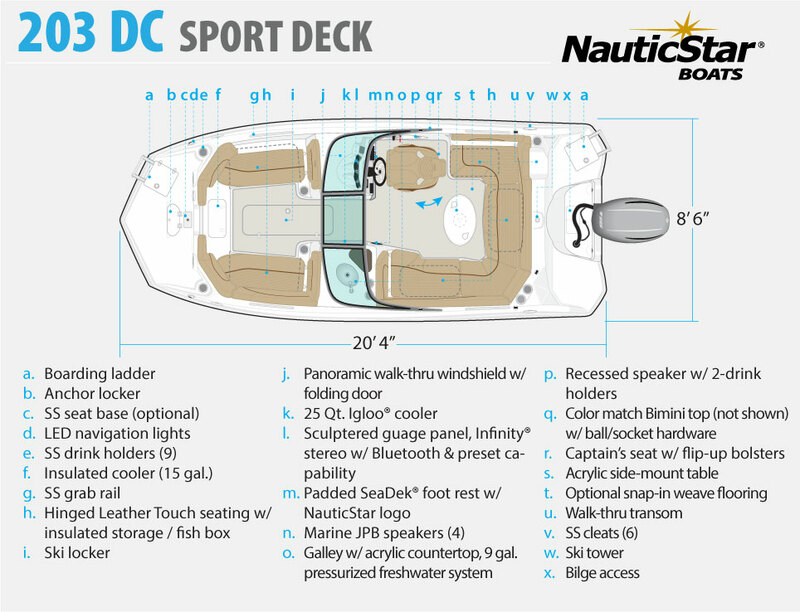 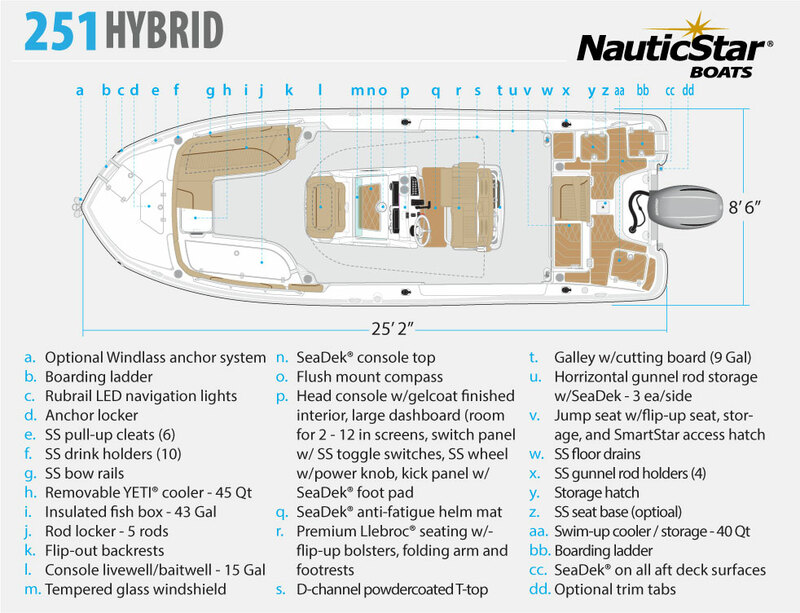 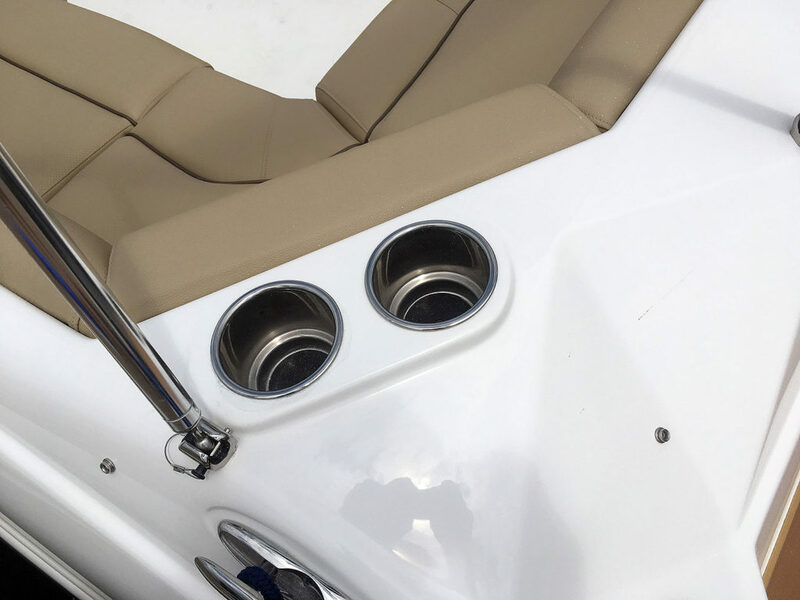 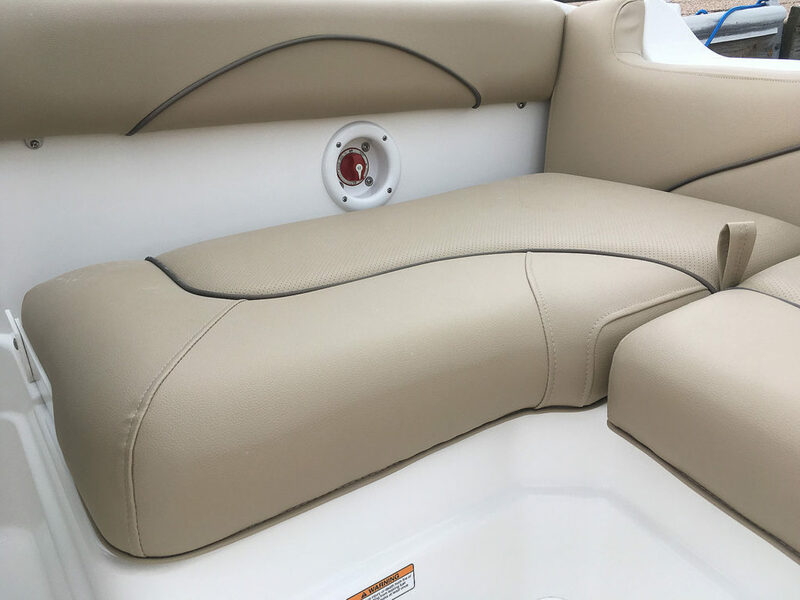 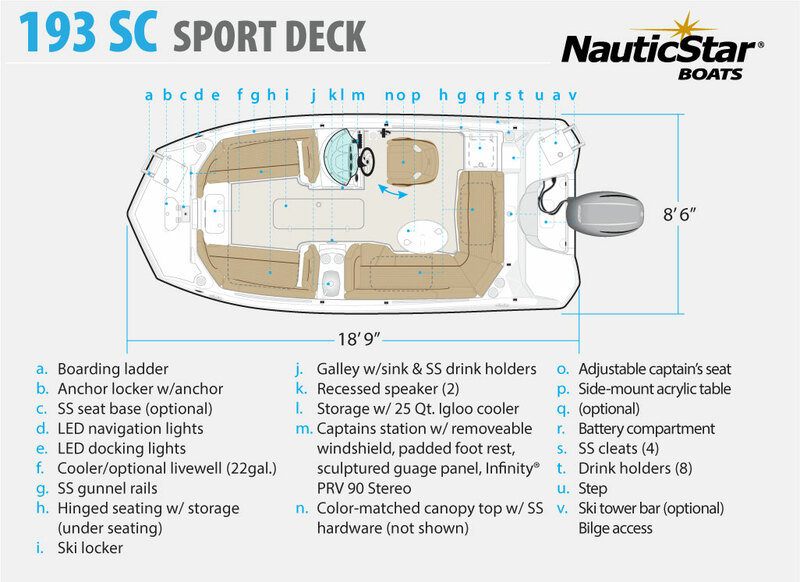 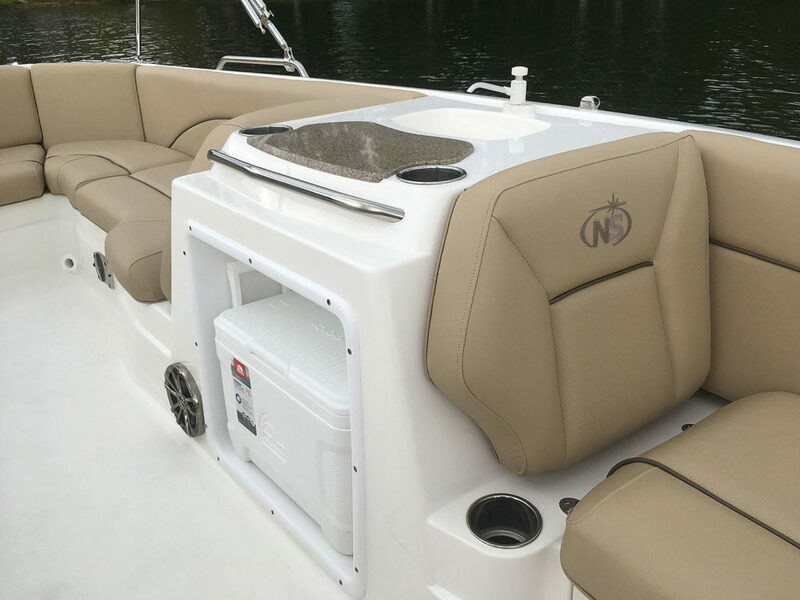 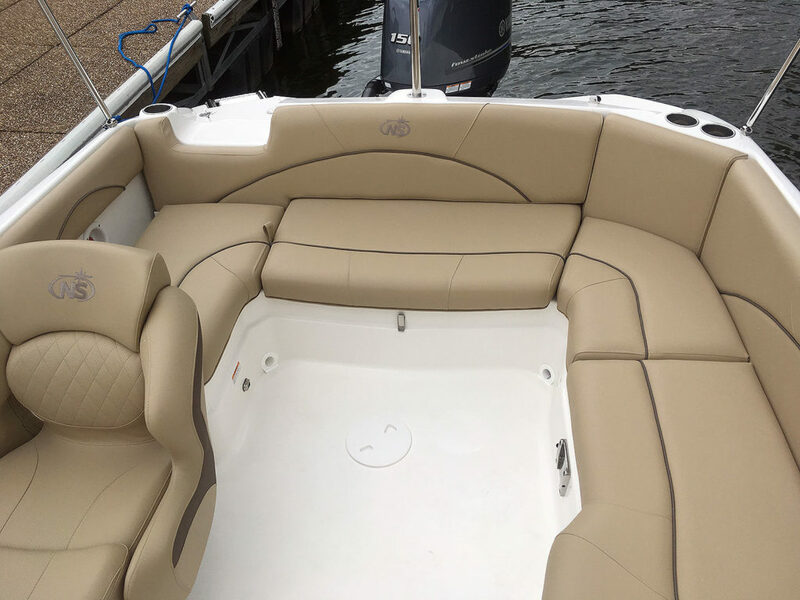 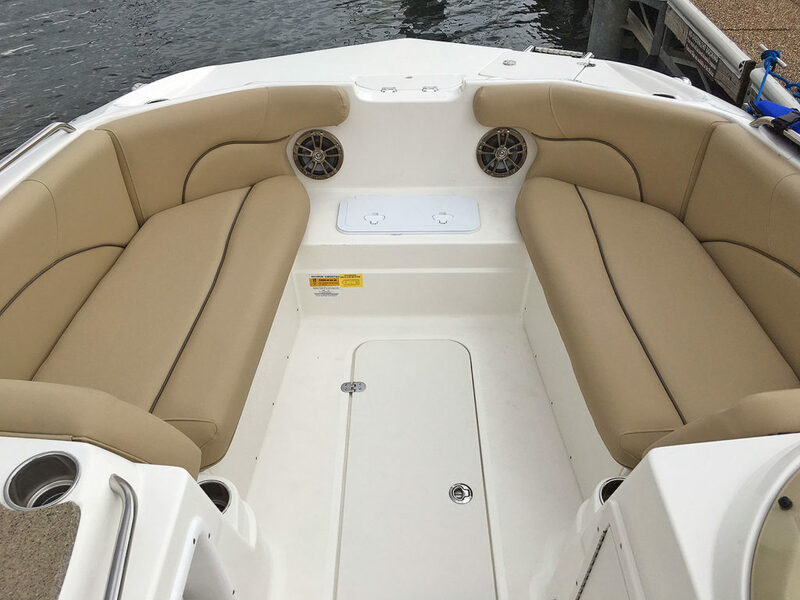 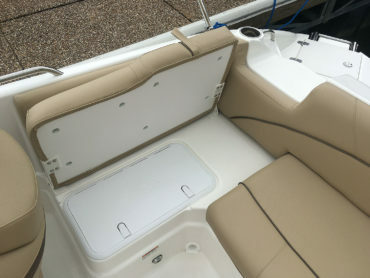 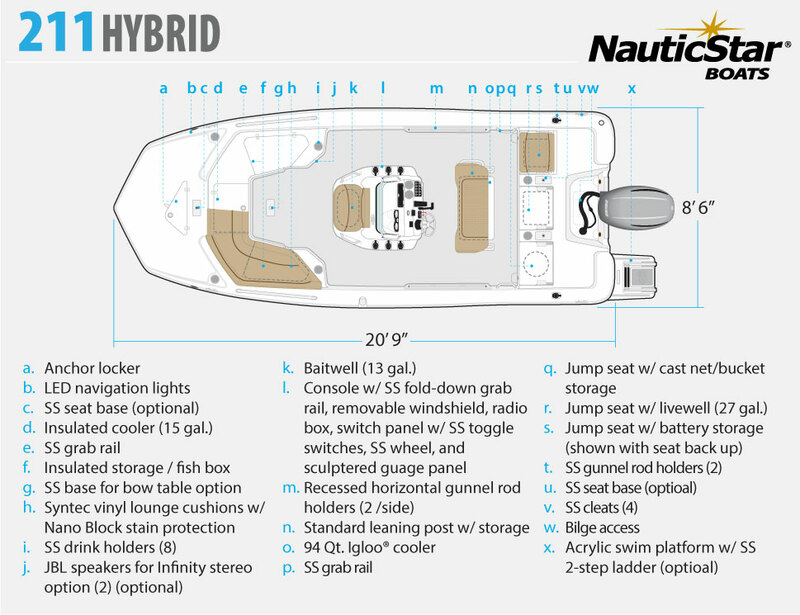 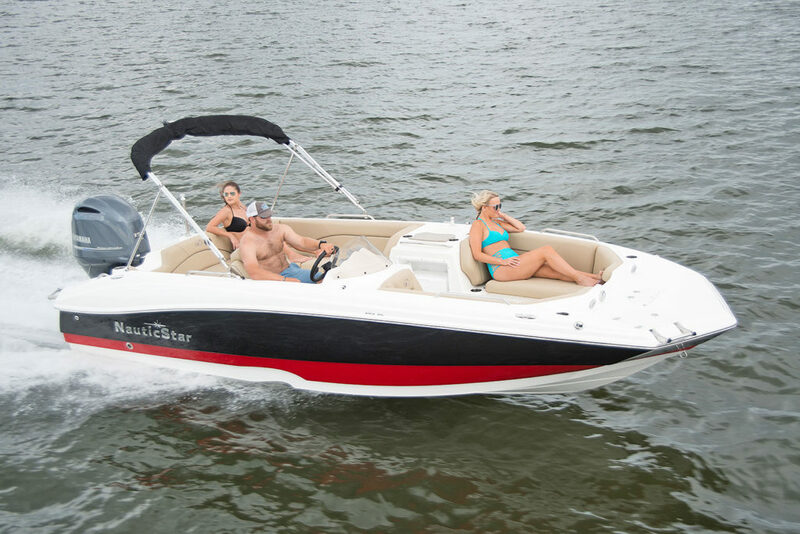 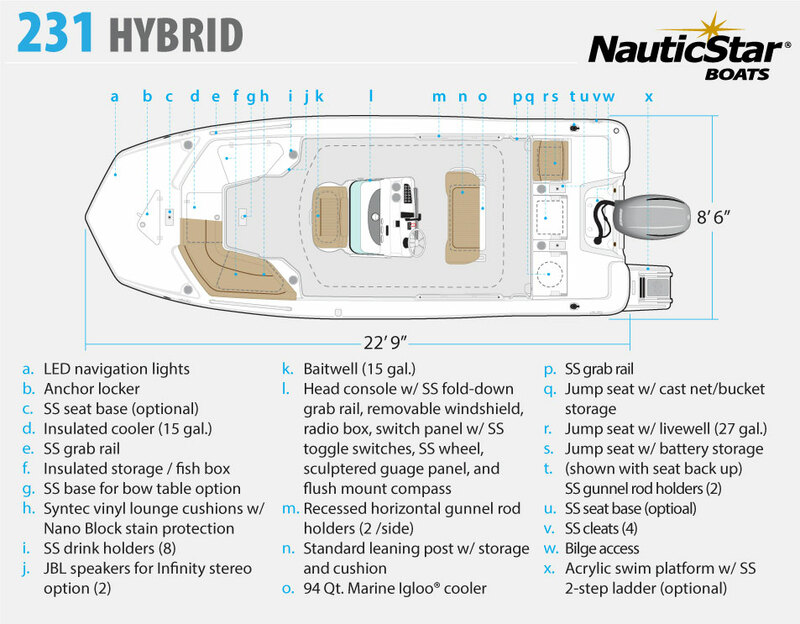 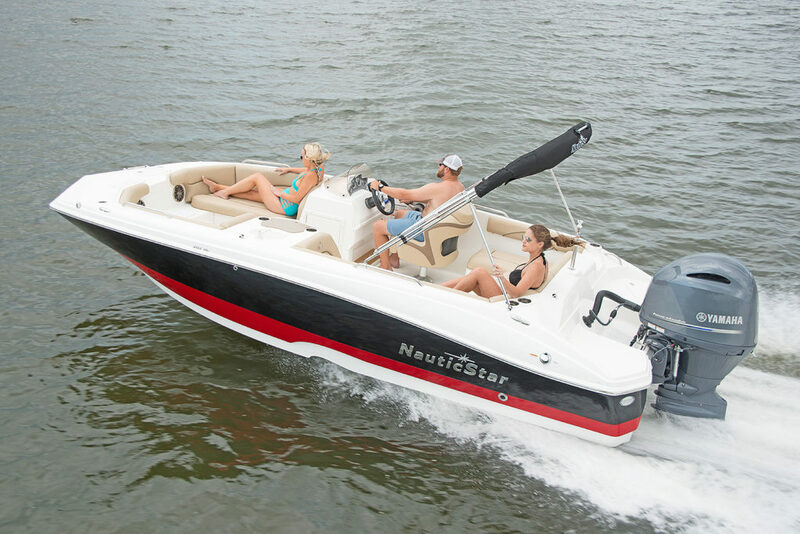 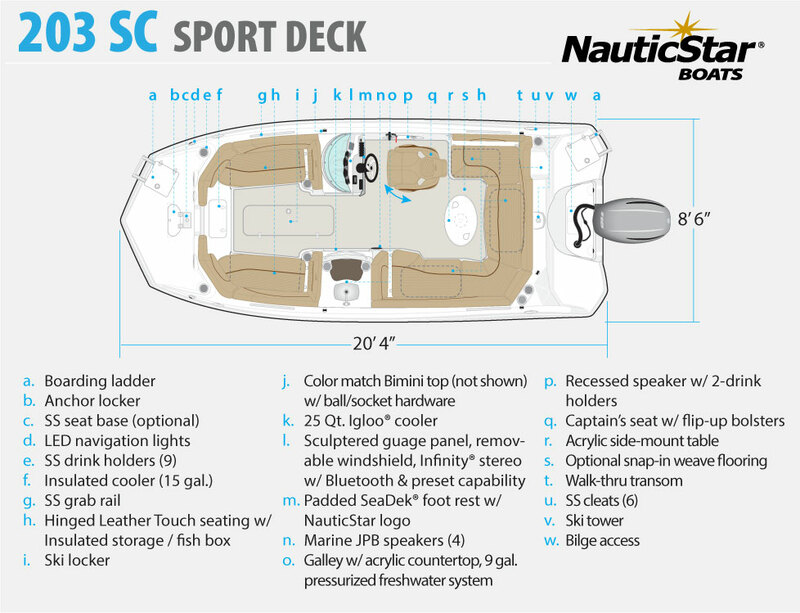 The bow features port and starboard lounges with a cooler, cup holders and flip-up seats with storage. 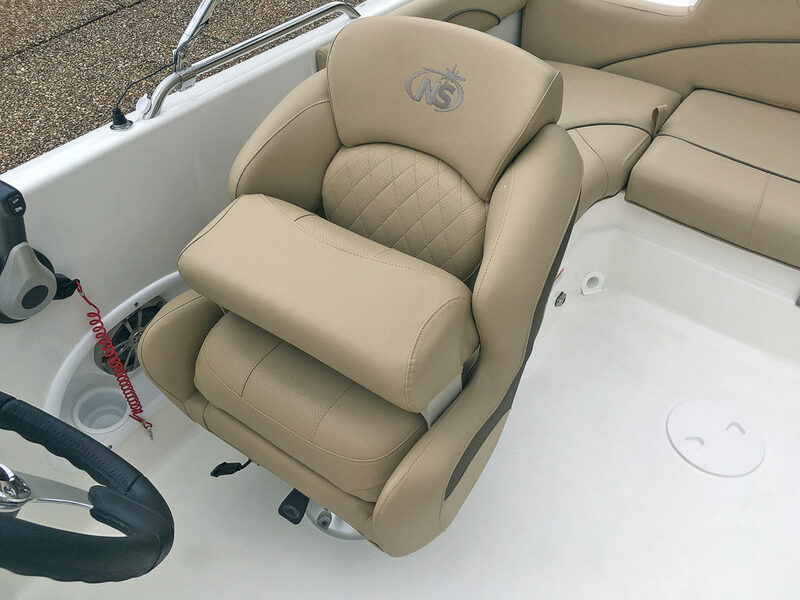 The ergonomic captain's seat has a flip-up/down bolster and is adjustable.